A striking, design-led reference book. A-Z Great Film Directors features Andy Tuohy’s portraits of 52 directors significant for their contribution to cinema including kings of world cinema Wong Kar-Wai and Akira Kurosawa, arthouse pioneers Fritz Lang and David Lynch as well as the often under-appreciated female directors Kathryn Bigelow and Jane Campion. With text by film journalist Matt Glasby, each director’s entry will also have a summary of the essential things you need to know about them, why they’re important, a list of their must-see films, and a surprising fact or two about them, as well as images of their key films throughout. 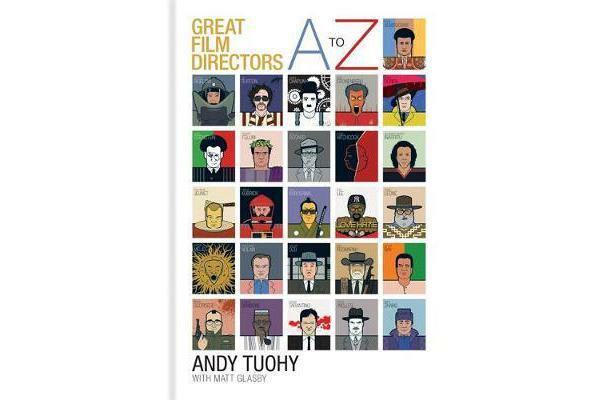 So whether you’re already a film afficionado, or looking for a helpful cheat to pass convincingly as an arthouse fan, you’ll love this guide to international directors, past and present.